It’s the annual Spring Prom for the powers that be in the SEC this week at their Spring meeting to be held today through Friday in Destin, Florida. Don’t expect too many fireworks since most of those have already been set off with the recent announcement of the new SEC Network backed by ESPN set to launch August 2014. More details will probably dribble out at the meeting; future schedules will be discussed and millions will be doled out… in other words, just another day at the office for the SEC! 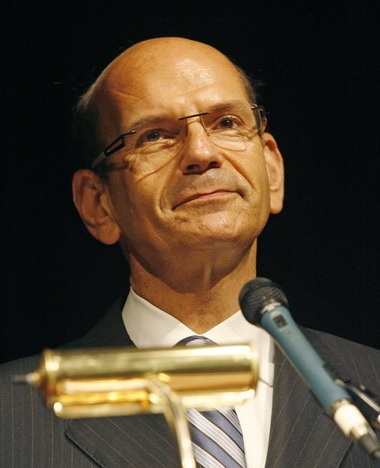 Paul Finebaum Announcement Well-Received Nationally! Paul Finebaum’s move to ESPN, broken by The Wall Street Journal, was well-received nationwide. He made multiple appearances on SportsCenter during his tour of ESPN HQ last week as he met the brass and the staff. Once his deal takes flight, he’s going to be a multi-media machine with a TV simulcast of his radio show (think Mike & Mike); all based at ESPN Regional TV HQ in Charlotte and then ultimately becoming the voice of the SEC Network. If you’re an interested advertiser, you better sign up now because his star–and price–are only going to go up! Congrats to Ben May, Jason Jennings and Patrick Morris As They Make the Jump to ESPN, Too!